I have a fairly large cage (38 (l) x 27 (w) x 60 (h). 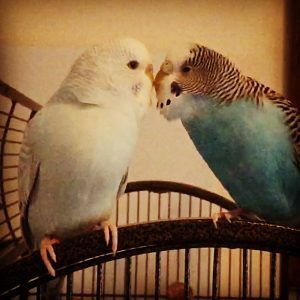 I had 6 male budgies & 2 females. The one female continually tried to murder the other one. The fights were horrendous and I would frequently have to literally grab them & pull them apart. I finally surrendered one to the Humane Society because I knew one day the one female would kill the other. 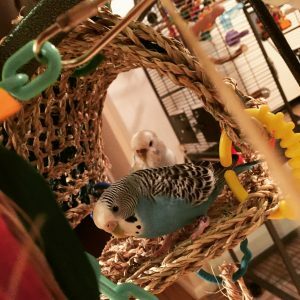 I will never, ever have female budgies again. Too aggressive. The males have always gotten along fine. I presently have 4 males and they get along just fine. It’s good that you surrendered one of them before there was a murder in your cage! I have definitely heard people say that females are no good for pets and should only be used for breeding. 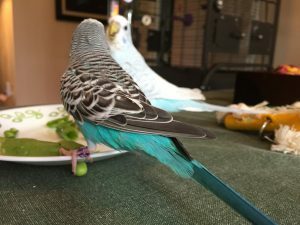 While I wouldn’t necessarily seek out a female budgie again it’s not off the table for us yet, our blue girl Toby is ridiculously sweet for a girl (although she certainly defends herself!) and that kind of balances out Kelly’s aggression for me. If I only had Kelly I would be solidly in the “never again” camp! 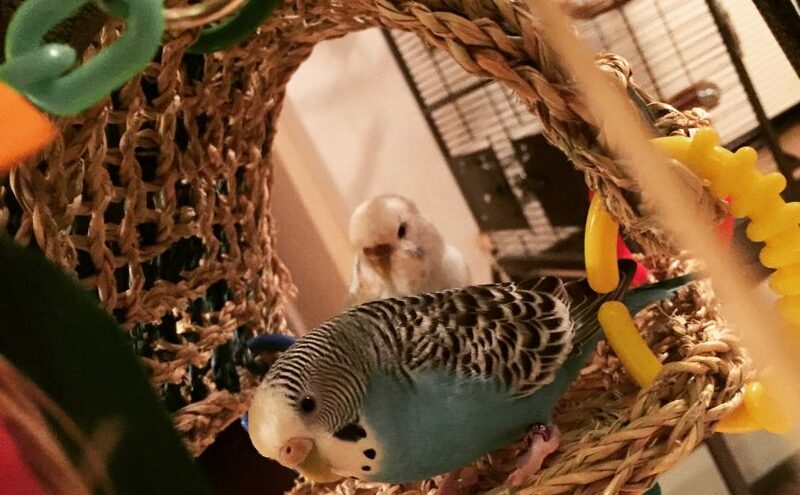 I rescued six young budgies from the humane society after they were rescued from a hoarder. I tried to pick all males, but two are females and they raise all kinds of hell with each other and my boys. I tell them to quit and they usually do, but our little realm would be more peaceful if my girl meets were boys. That’s so great that you were able to rescue all of those budgies! I’m glad your females are keeping it at a controlled level of violence 🙂 I do also dream of having a friendly relaxed pack of gents! I had two sisters. I learnt very quickly to supply them with TWO of EVERYTHING!!! I loved those girls. I feel like these ladies could have 6 of everything and they would still manage to be territorial! Things have not been going very well between them since that post – there’s an update coming soon. They are both okay, but they are next door neighbors instead of cagemates for the time being. Next Next post: Where should you get your first Parakeet?